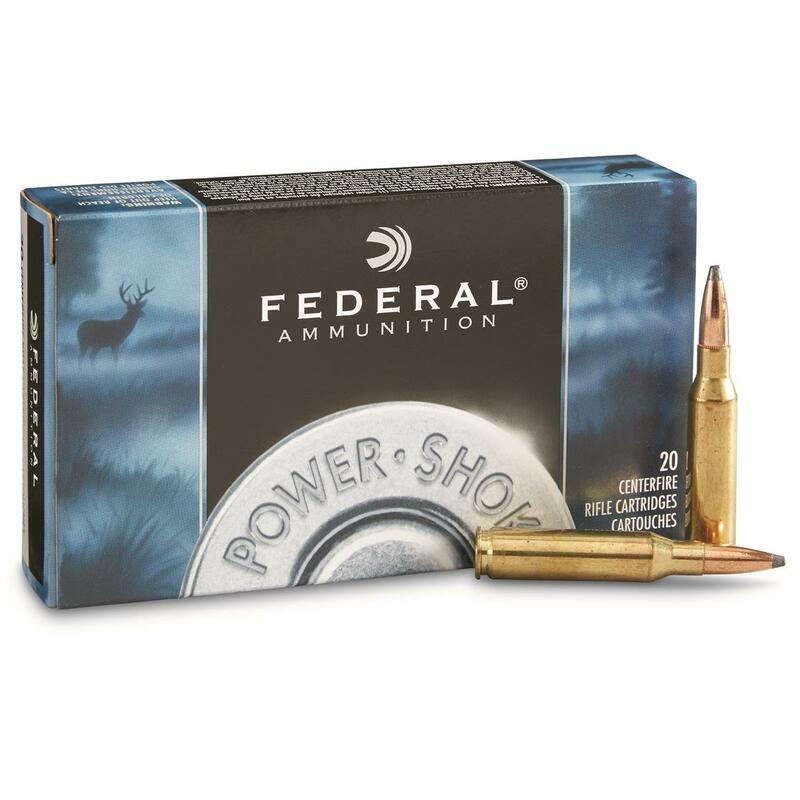 Federal Power-Shok, 7mm-08 Rem., SHCSP, 150 Grain, 20 Rounds is rated 5.0 out of 5 by 6. Rated 5 out of 5 by captpet from deer slayer The 150 gr 7mm-08 soft point bullets are deadly on whitetail deer. The last six deer dropped in their tracks and their power plants were totally blown away inside. Very humane and little to no recoil. All shots taken from 75-120 yards. Excellent accuracy from my Savage 11/111. I did shoot one with a 140 grain bullet at same point of impact and distance and it did drop in its tracks but I had to finish it off as it jumped and tried to run away when I walked up to claim it. I'll never use anything else but the 150 gr power shok from this gun again! Rated 5 out of 5 by deadshot12b from Great accuracy and performance I switched to a heavier bullet this year in my Remington m700 mountain rifle and went with the Federal Power Shock 150 grain bullet. I was surprised at the accuracy of this load as I was consistently holding just under 1 inch groups at 100 yards out of the light weight short barrel rifle. I harvested a smaller buck at 40 yards. The buck was quartering towards me giving me a shot that had to go through the shoulder blade. The bullet performed well breaking the shoulder and destroying the vitals (both lungs and heart). It appears the bullet fragmented which I would expect after hitting heavy bone still exited the body cavity. Needless to say it was an easy tracking job and a humane kill. I will be sticking with this load. Rated 5 out of 5 by hunter from Accurate 7mm-08 Very accurate in my daughters Savage rifle. 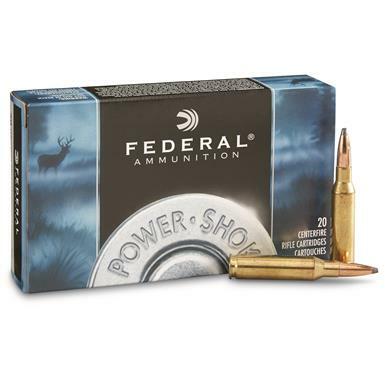 The 150 Grn in 7mm-08 also proved very deadly on deer this season. We will be using it again. Rated 5 out of 5 by CUTemCURT from GREAT BULLET Just want to say thanks for having a 150 grain bullet in 7mm-08,I switched to it from 140gr. and i WILL NOT GO BACK to 140gr. Ever since i started using the 150gr. i have shot 14 deer and not the first one has gone over 20 yards !!! With the 140gr. i had to spend alot of time tracking my deer, it has seemed to make a big differance. Rated 5 out of 5 by STEVEN from Great Price for good ammo.